Click here to fill out the Event Submission Form for an event you would like posted. Read the event guidelines to see what events will be considered for posting in our monthly calendar. Use the arrows on the right to view the next month listings. Click on the event to expand the listing. At the Family Discipleship and Homeschooling Conference you’ll find something for every member of your family. 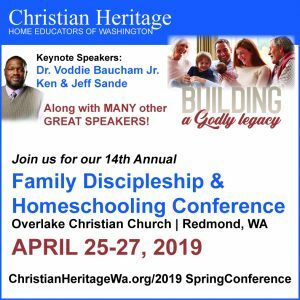 Come fellowship with hundreds of other families committed to discipleship and home education for three days of hope, encouragement and inspiration!